Simply put, a hybrid window combines the durability, rigidity and aesthetics of aluminum on the exterior with energy efficient and long lasting PVC on the interior. In essence, a hybrid window is truly remarkable – in that it provides the best of both worlds in one design! BestCan Home Improvements is a leading window and door installer, serving Ottawa and Eastern Ontario. We proudly offer products from VinylBilt Windows and Doors because they are “Bilt Better”. 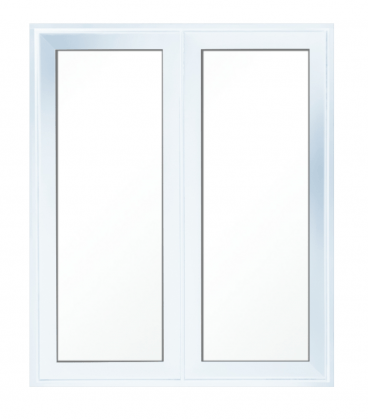 At this time, we are able to offer our client the stunning Hybrid Casement Window. Offered in 3 frame sizes (5”, 5 5/16”, and 6 9/16”) the VinylBilt Hybrid system is designed to meet your needs. It brings the window closer to the warm side through a frame extension. This allows the window to see a drastic reduction in condensation, all the while improving energy efficient. Another excellent benefit of the VinylBilt Hybrid Collection is the ability to choose between glass options: be it double or triple glaze. VinylBilt offers two sash options, which suit the majority of residential and commerical applications. The Colonial Sash offers a hint of dramatic flair, without being overly intrusive. Whereas the Contemporary Sash boasts clean, pure lines for those seeking a simple design aesthetic. Since colours are very important to both the curb appeal and the interior décor of a property, five standard colours are offered (black, white, sable, charcoal, and brown). However, a colour match service is also available – thus ensuring existing exterior doors, fascia, soffits or other aluminum finishes around the home can be coordinated. If you would like to learn more about hybrid windows, connect with the Ottawa windows, doors and home improvement professionals at BestCan. We are always at the ready to help!